It’s Spring – must be time for another asparagus recipe. As I’ve mentioned before, I remember cutting wild asparagus along the ditch banks in the spring. Later, my father actually raised asparagus commercially so I have a deep-seeded love for these green spears. 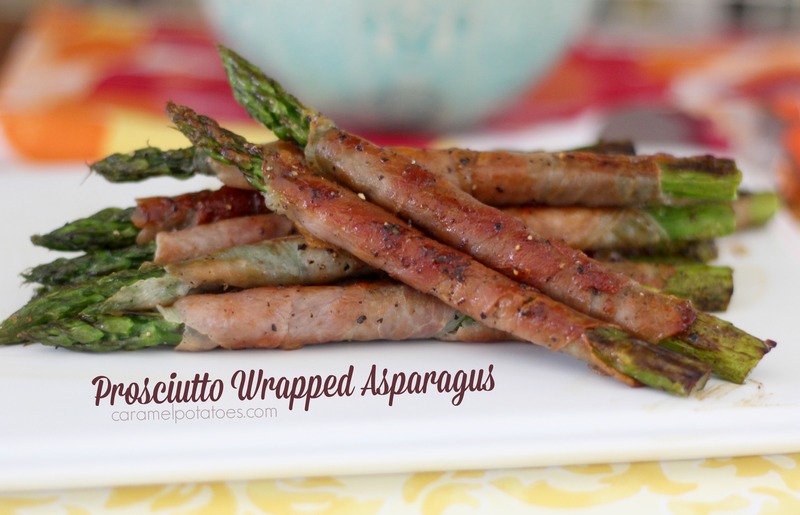 Today’s Prosciutto Wrapped Asparagus is my new favorite. 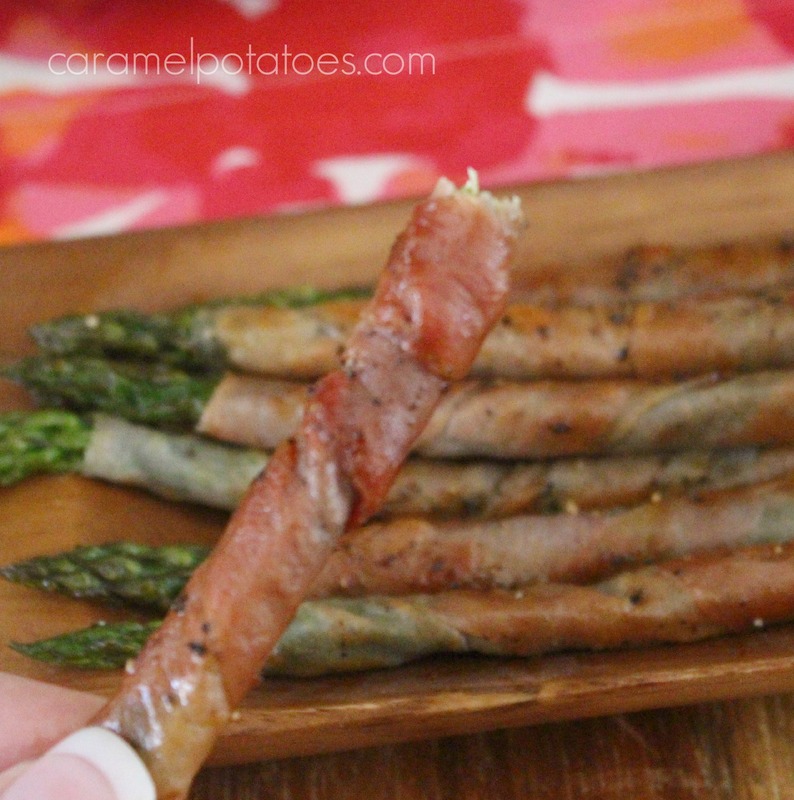 These yummy spears are a perfect appetizer for Easter or any time of the year – you certainly don’t need a special occasion, in fact a few of these make a fast and incredible tasty low-carb meal. 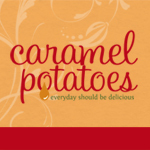 You can also serve them as a beautiful side dish. 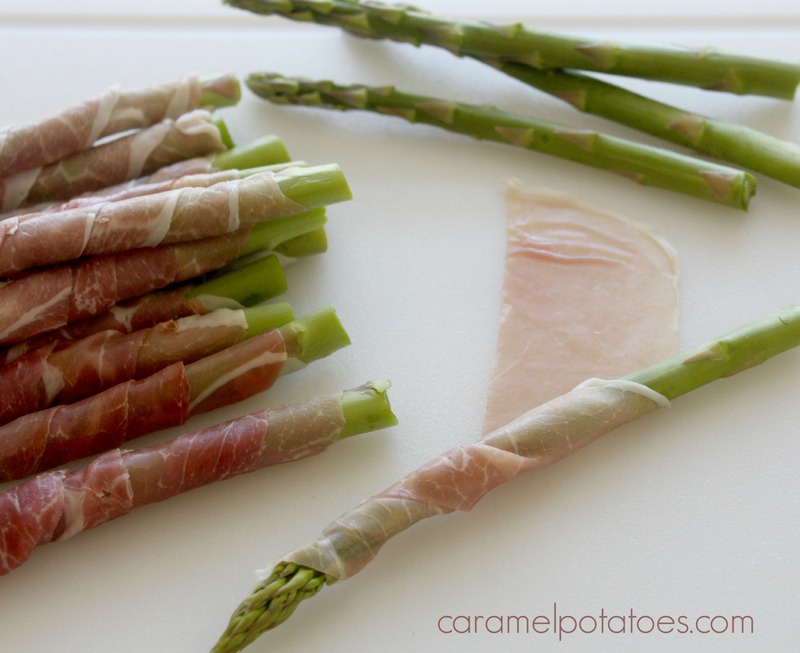 To make this easy dish simply trim your asparagus to about 7 inches and wrap each spear in prosciutto cut length-wise. Just start at the top and roll it down at an angle. 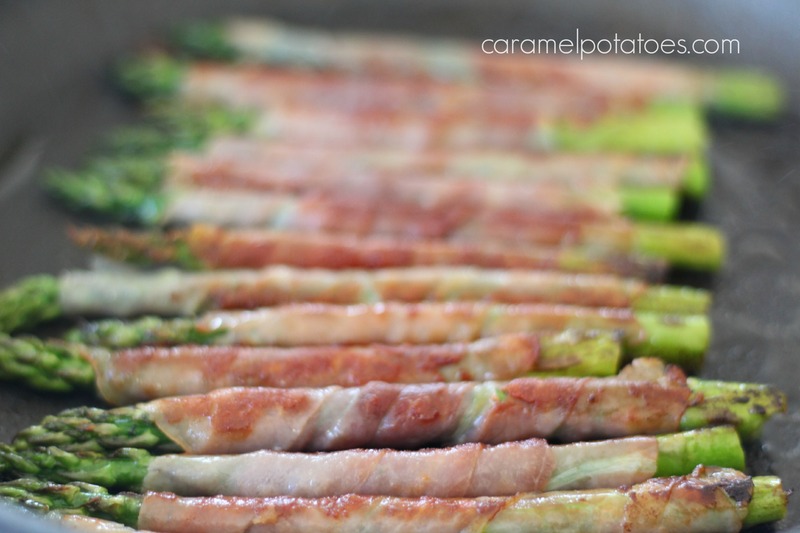 Next just cook them in a tablespoon of olive oil for 2-3 minutes to let the asparagus get nice and tender and the prosciutto brown to brown and crisp like bacon. Finally, finish it off with fresh ground black pepper. Yum- the result is amazing and it only took about 10 minutes! The recipe below is for 12 spears just to give you the ratio, but believe me you will want to make lots more- they are even good cold the next day for lunch! Lay each piece of asparagus at a 45 degree angle across one strip of prosciutto and roll down until the asparagus is basically covered. Heat olive on medium-high heat and cook asparagus until the prosciutto is brown and crisp and asparagus is tender – about 2-3 minutes. Turn as needed to brown all sides. Recipe adapted from Eat Drink Paleo. These spears are so yummy, you’ll have a hard time getting them to the table! Oh Yum! I’ve had asparagus wrapped in phyllo that was really good too!